1. I'm Afraid Of Americans (V1) 5'31"
2. I'm Afraid Of Americans (V2) 5'51"
3. I'm Afraid Of Americans (V3) 6'18"
4. I'm Afraid Of Americans (V4) 5'25"
5. I'm Afraid Of Americans (V5) 5'38"
6. I'm Afraid Of Americans (V6) 11'18"
1. I'm Afraid Of Americans (V1 edit) 4'30"
2. 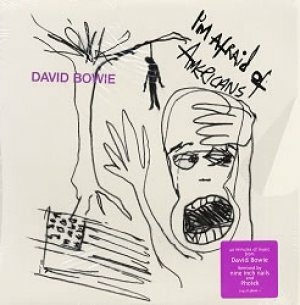 I'm Afraid Of Americans (original edit) 4'12"
4. I'm Afraid Of Americans (V1 clean edit) 4'30"